Welcome to Mizkan Euro Ltd. Being a food manufacturer, we take great responsibility and pride in manufacturing essential food products that promote the health and well being of our customers. “Bringing Flavour to Life” is the core concept that reflects our commitment. To ensure “Offer Customers Only The Finest Products” enables us to improve quality. The Mizkan Group will pursue consistent business growth based on our “Customer comes first” motto endlessly. We will achieve business growth as a result of customer satisfaction by realizing these two principles in our daily operations. 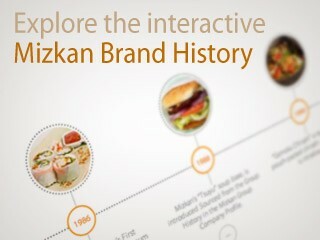 The history of the Mizkan Group dates back over 200 years. 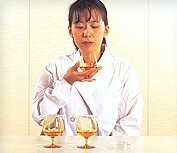 The company succeeded in producing kasuzu, a type of vinegar made from sake lees, which is a by-product of sake. Prior to this, vinegar was made from conventional rice in vinegar manufacturing facilities. 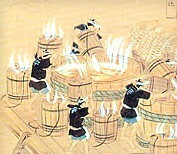 Producing vinegar in a sake brewing facility was unprecedented at that time. Acetic acid bacteria, necessary for making vinegar, could possibly contaminate the sake process once it was introduced into the brewing facility. This new way to manufacture vinegar in a sake facility could have jeopardized the entire sake brewing process. This was truly a tremendous accomplishment. 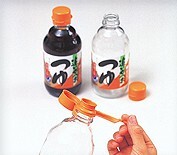 Currently, the company continues to create new value-added products other than vinegar, including top selling brands such as Ajipon. This is an example of how the Mizkan Group has overcome challenges and adapted to change both internally and externally. The Mizkan Group’s technological expertise sets us apart from other food manufacturers. Our goal is to grow and strengthen the Mizkan brand based on continuous innovation and on-going technological advancements. To this end, the Central Research Institute has played an essential role since its establishment in 1942. The main objective of the institute is to be the leader in fermentation and brewing technologies. 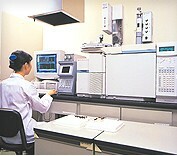 Additionally, the institute has made numerous contributions to the technological advancements within the Mizkan Group, including the world’s first genome analysis of acetic acid bacteria, completed in 2002. The Mizkan Group will strive to create growth by continuing to enhance our technological capabilities. The Mizkan Group believes that everything we do is based on ensuring customer satisfaction. To this end, we stay abreast of constantly changing consumer lifestyles and value customer feedback. We have set in place strict quality assurance measures encompassing the entire manufacturing process from product concept to actual commercialization. We define quality from a broad perspective that includes the testing of raw materials and ingredients, manufacturing and distribution controls, customer satisfaction, commitment to recycling and most importantly product safety. We are continuously making a concerted effort to meet a wide variety of internal and external safety and reliability requirements. Since the beginning, vinegar has been known to have many health benefits. The Central Research Institute, serving as the core of Mizkan Group technologies, has been studying the health benefits of vinegar in cooperation with universities and other organizations. These studies include vinegar as a way to enhance mineral absorption, as a remedy for fatigue, and as a food preservative. For example, the natural power of acetic acid bacteria and bacillus natto is critical for producing flavourful vinegar and natto. This is an example of one of our major objectives to offer delicious products with health benefits. Our research division works closely with the marketing division to provide consumers with recipes that work in Bringing Flavour to Life.